Dave Fields has music not just in his blood, but also in his genes. Fascinated with music from the very beginning, he studied piano at a very early age and began learning musical composition, arranging and production on his father’s knee. His father is Sammy Fields, a well known composer-arranger-producer of great American standards as well a collaborator with the great Hollywood, Broadway and standards writer, Sammy Cahn. After high school, Dave attended the Berklee school of music in Boston where he studied performance and composition/arranging. After college, Dave soon found a career back in New York as a budding composer/arranger/producer working for independent record labels and also playing on records as a “first-call” guitarist-multi-instrumentalist with likes of GRP productions and Ahmet Ertegen. Dave Fields was the band/writer director for the world renowned new voices of freedom performing with U2 in their movie “Rattle and Hum”. He has also worked with other musical legends including Hubert Sumlin, Aretha Franklin, Lenny Kravitz, Sean Lennon, the Drifters and Tommy James. Dave Fields is a former staff member of look music where he produced and wrote many national TV and radio commercials. He has also been a significant contributor to a variety of stock music libraries including aircraft music library. Fields music is proud to announce “Back in Bluesville” (Roxy Perry) wins best self produced CD for 2006 in Memphis at the IBC! What’s the best jam and gig you ever played in? What are some of the most memorable gigs you’ve had? Hurricane Sandy came roaring into the NY tristate area the day we were supposed to come home. We ended up being trapped in Oslo for three extra days. When the storm knocked out the power and the phones I began to panic. Being unable to reach my wife Judy and seven year old son Jasper was really disconcerting. Not to mention it was an ordeal to rebook our flights. Somehow we managed to get back to Newark and the devastation. My loving manager Sandi Rose who lived in Rockaway Beach was also one of my main concerns. It wasn’t until I had got my luggage at the airport that I was able to reach her by phone only to learn that a five foot storm surge had ruined her home destroying all her belongings. When my wife and son picked me up at the airport I immediately took them to upstate NY, New Paltz to be exact, to where the storm had done little. On the way up we saw all the downed trees, homes without power and the scary gas lines filled with people trying to fill their gas cans for their generators. Our home in the lower east side was without power, heat, water and gas for one week and there was no way I was going to subject my family to more suffering. I count myself among the lucky, I have a first floor storage space located on South Street and the East River. There was only the tiniest bit of water in my space after the first floor had flooded with 4 inches of water. Since returning from upstate NY I have played two amazing shows: BRIAN’S BACKYARD BBQ in Middletown NY and TIME OUT PUB in Rockland Maine. My next stop is Ro Daley’s house in Medina Ohio and a show at BROTHERS LOUNGE and THE BLUES ROCK CAFE. Then The Big City Blues Magazine Award in Detroit. Its hard to describe what its like to see your home town ravaged by mother nature and to see your friend, neighbors and loved ones suffering. The past few weeks have been a roller coaster ride of emotions. Filled with amazing highs and terrifying lows. I guess that’s how life is sometimes… Out of the ashes us New Yorkers WILL rebuild. Andy Huenerberg, Kenny Soule and I are in Oslo Norway. We just finished The Colorline Blues Cruise (JT Lauritsen being the host) which went from Oslo to Keil Germany. Some of the other artists on the blues cruise with us were THE ROYAL SOUTHERN BROTHERHOOD, CLAY McCLINTON, NICK MOSS and THE FLIPTOPS featuring MICHAEL LEDBETTER, TAD ROBINSON, MITCH KASHMAR and JT LAURITESEN & THE BUCKSHOT HUNTERS. I can’t tell you how much fun this cruise was! The only problem was it was too short! The cruise is only two nights but it’s a blast!. I made so many new friends and sold many CD’s. The next show for us is BUCKLEYS in Oslo Wed 24th 9pm. Then Svalbard (Longyearbyen Spitzbergen) for THE DARK SEASON FESTIVAL Oct 25th-29th. I’m so excited! 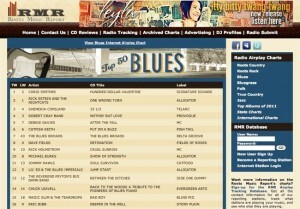 I’m also fired up by the fact that my new CD DETONATION is #13 on THE HOUSE OF BLUES CHARTS! I want to send out a special thanks to my manager Sandi Rose and my PR team Carol Kaye, Bob Laul and especially Rick Lusher for the amazing work they’ve done promoting the CD. Well…. I’m still jet lagged so I’m going to stop now! http://www.davefields.com/wp-content/uploads/2015/06/davefeatured.jpg 172 499 davefields http://www.davefields.com/wp-content/uploads/2018/06/davefields.jpg davefields2012-10-21 14:23:232012-10-21 14:23:23Dave Fields Band in Norway and DETONATION is #13 on HOUSE OF BLUES CHARTS! It seems like like Oct rolled around so quickly and here it is Oct 15th and I’m about to be a guest on Music On The Couch and the next day my long awaited trip to Norway. Tonight Oct 15th I will be a guest on Music On The Couch http://goo.gl/AIxNu you can tune in around 9:40 to hear my interview. The very next day Oct 16th, Andy Huenerberg, Kenny Soule and I jump on a plane and head for Norway for a two week stint. Our first stop will be The Norwegian Blues Cruise Oct 18-20th, thanks to my buddy JT Lauritsen. Then we will perform at BUCKLEYS BLUES CLUB care of The Oslo Blues Klubb in Oslo on Wed 24th. Then our last stop will be THE DARK SEASON BLUES FESTIVAL in Svalbard Oct 25th-29th thanks to festival promoter Gry Sneltvedt. This is my fifth trip to Norway and the second with my band. We are all fired up, I can’t wait to see all my Norwegian friends! http://www.davefields.com/wp-content/uploads/2015/06/davefeatured.jpg 172 499 davefields http://www.davefields.com/wp-content/uploads/2018/06/davefields.jpg davefields2012-10-15 16:47:342012-10-15 16:47:34Music On The Couch Interview Tonight AND I'm off to Norway! Dave Fields is an electrifying rocker with a blues soul. His new CD DETONATION, is produced by legendary Grammy winning producer David Z (Prince, Government Mule and Johnny Lang). Dave’s searing guitar style, scintillating singing coupled with his heart felt song writing are more present than ever before. David Z’s brilliant work on DETONATION captures the pure magic of a live Dave Fields show. All guitar, vocal and band performances are from original takes recorded live in the studio. If you listen carefully you can even hear the sound of Dave’s guitar strings coming through on the vocal mic! This is the first recording that has Dave’s band: Andy Huenerberg (bass), Kenny Soule (drums) and Russian sensation Vladimir Barsky (keys). 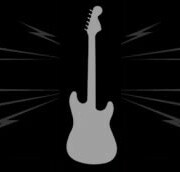 As it is with all Dave Fields CD’s, DETONATION contains many different musical flavors of Dave but always stays true to his blues and rock roots. Special guest blues legend Joe Louis Walker who does a blazing slide guitar/vocal duel on the sultry “Doin’ Hard Time” (Track 3). The mournful slow blues “Pocket Full Of Dust” (Track 9) is an ode to lost love. Its tempo change in the solo section reveals Dave’s most passionate guitar playing. Bluesy-shuffle “Better Be Good” (Track 7) speaks in a tongue and cheek way for a better world. New York City world music star Delmar Brown raps on the reggae master “Bad Hair Day” (Track 5). Dave shows off his rockin’ side with “Addicted to Your Fire” (Track 1), “In The Night” (Track 2), “The Altar” (Track 6) and “Dr Ron” (Track 10). He even dips into psychedelic with a call to the human race “Prophet In Disguise” and the mesmerizing instrumental “Lydia” (Track 11). The CD climax ends with the anthemic “You Will Remember Me”. http://www.davefields.com/wp-content/uploads/2015/06/davefeatured.jpg 172 499 davefields http://www.davefields.com/wp-content/uploads/2018/06/davefields.jpg davefields2012-09-18 11:56:032012-09-18 11:56:03"DETONATION" IS NOW AVAILABLE!